Behind the biggest stars are the people who make them famous: their attorneys. Below, watch a preview of the new Money. Power. Respect. TV show, premiering on WE tv Thursday, October 13, 2016 at 10:00pm ET/PT. From the executive producers of Love & Hip Hop, this six episode, one-hour, New York-based docu-series follows a group of professional women who at turns help and hinder each other, in an attempt to get ahead. The Money. Power. Respect. TV series cast includes: Wendy Credle, Kendell Kelly, Dana Whitfield, Kelly Shapiro, Nakia Thomas, Tiffany Ballard, and Ed Woods. Get all the details from this WE tv press release. NEW YORK, NY (September 13, 2016) – WE tv introduces a new set of elite, high powered female entertainment attorneys with the premiere of “Money. Power. Respect.” on Thursday, October 13th at 10 p.m. ET/ PT. From the executive producers of “Love & Hip Hop,” this 6 episode, one-hour, New York-based docu-series follows a group of gorgeous and ambitious professional women who help each other, use each other-and sometimes throw each other under the bus-in their efforts to get ahead. Whether dealing with failed partnerships, cheating boyfriends, stolen clients and back-stabbing best friends, these driven women use the tricks of their legal training to always get what they want. When she’s not suing major corporations for massive settlements as a litigator, Dana negotiates deals for artists, like her husband, Lord Jamar of Brand Nubian. As Lord Jamar’s attorney, Dana has handled his transition into acting, negotiating his contracts to appear in “The Sopranos,” “Oz,” and his current role on HBO‘s “The Night Of.” Now that Jamar has his own music production company, Dana has been busy handling contracts for all of his new artists. But now, Dana wants more – she wants to become an entertainment attorney, AND an artist manager. Dana intends to expand into artist management, but has to overcome the barriers put up by her opinionated husband –who doesn’t want his “Queen” to be mixing with “grimy” music industry wannabees. For more on “Money. Power. Respect,” visit www.wetv.com for sneak peeks, full episodes, photo galleries and blogs. You’ll also find weekly behind-the-scenes content and exclusive videos. “Like” WE tv on Facebook and follow @WEtv on Instagram and Twitter for the full insider experience. “Money. Power. Respect” is produced for WE tv by Monami Entertainment and Eastern TV; and executive produced by Mona Scott-Young for Monami Entertainment and Toby Barraud, Stefan Springman, Mala Chapple, Carmen Mitcho and Jacob Huddleston for Eastern TV. Rhonda Cowan is Co-EP. Executive Producers for WE tv are Lauren P. Gellert and Lauren Lazin. Monami Entertainment is a leading lifestyle and entertainment company with a specialty in talent management and cross-platform brand development. Founded by Mona Scott-Young, Monami Entertainment was created on the premise of expanding upon Scott-Young’s remarkable track record for success in all areas of the entertainment business – music, television, publishing, food & beverage and more. Monami Productions, a division of Monami Entertainment, is a leading independent production company focused on content creation for film, television and digital distribution. Eastern is a full service media production company with offices in New York, Los Angeles and Atlanta. Responsible for some of the highest rated unscripted programming on television, Eastern’s focus is on the subtle art of storytelling. Their approach pairs extensive experience with technical mastery, allowing them to deliver compelling narratives within high-gloss wrappers. With compelling, can’t miss unscripted shows and dramatic scripted series, WE tv’s programming is fueled by personalities and relationships filled with purpose and passion. WE tv welcomes everyone and creates an inclusive experience across all platforms: on TV, online, on demand, and social media, embracing how today’s digitally savvy, socially engaged audiences connect through content, using it as a catalyst to drive conversation and build community. WE tv is owned and operated by AMC Networks Inc., and its sister channels include AMC, BBC America, IFC and SundanceTV. WE tv is available to over 85 million U.S. homes. WE tv: All In. What do you think? How do you like the sound of the Money. Power. Respect. TV series? Do you plan to watch the premiere on WE tv? 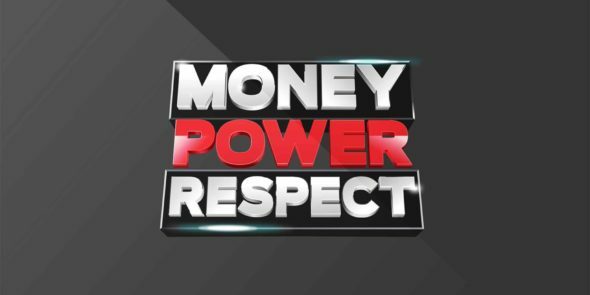 More about: Money Power Respect, Money Power Respect: canceled or renewed?, WE tv TV shows: canceled or renewed?